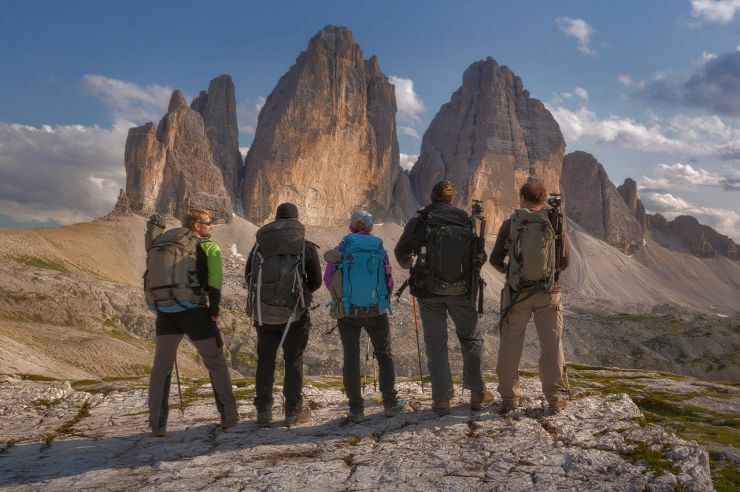 What your pack is made out of determines many of its characteristics, from weight, durability, water resistance, to the way it feels or sounds when you move. You may have noticed our Urban Series uses the same outstanding face fabric as our Mountain Series - a 420D Oxford Weave ripstop nylon with a DWR coating and a 10,000mm rated TPU laminate - but what does that all mean? The face fabric is the fabric you see as the main fabric for the exterior shell of the bag. It is selected for its strength, durability and light weight. This face fabric is then laminated to a TPU (Thermoplastic Poly-Urethane) film in the inner side of this face fabric, just like a high end "waterproof" jacket, and covered with a DWR coating on the outside - but more on that later! A ripstop fabric takes a lighter weight fabric and weaves a thicker, stronger thread through it, often in a grid pattern. Originally developed to replace silk for parachutes, this enables you to have the weight saving and flexibility of the lighter fabric combined with the reinforcement strength of the thicker thread, which will also - as the name suggests - in the worst case scenario, work to stop a rip spreading further across the fabric. Ripstop nylon is used in many applications from hot air balloons and boat sails to high end outdoor products. Woven fabrics are stronger than non-woven (chemically bonded) fabrics, with the threads woven together in a basketwork pattern under and over each other. An Oxford weave uses thicker threads for this, creating both a stonger fabric and a texture that you can grip well in your hands. The “D” in "420D nylon" stands for “Denier” which is the measurement of how much a single thread of 9000m long weighs in grams. The reference point is silk, which is approximately 1 gram for a single 9000m-long strand - so is approximately 1 Denier. We use 420D Oxford Weave nylon weighs 420g for a single 9km long thread! What the material is made of important too. Nylon is stronger than polyester, for example, and so a 420D ripstop nylon is stronger than 600D polyester. Our bags are more than just the a list of tech specs. They are the result of partnerships with our production facilities to create the fabrics that we need to construct camera bags that perform in the field. Knowing who makes the fabric of your bag is important to us. We work closely to ensure not only are the processes up to our standards, but that they share our vision of pushing what is possible in fabric technologies. While the term “waterproof” is often used in conversation, when talking in technical terms a waterproof bag is one that can be fully submerged in water, like a diver’s dry bag. When we casually refer to “waterproof jackets” or bags, what we really mean is “water-resistant”. To make a woven nylon fabric ‘water resistant’ requires additions processes, such as coating and lamination. Our Mountain Series and Urban Series uses a TPU laminate bonded to the inside of the fabric that is flexible and durable, which is tested and rated as "10,000mm water resistant". This means that if you put a square tube with inner dimensions of 1” x 1” over it, you could fill it with water to a height of 10,000 mm before water would begin to come through. DWR stands for 'Durable Water Repellent'. DWR is a water-resistant, or hydrophobic, coating applied to the outer shell of a textile. In real life means the water runs off the fabric, rather than penetrating into the weave. The water-resistant TPU laminate prevents water getting through a fabric up to the 10,000mm rating, but that is on the inner side of the face fabric. Without an external DWR coating, the woven nylon ripstop face fabric would become wet, increasing the weight of your pack. All f-stop bags use DWR treated fabrics, so when you see water droplets 'beading' on top of the fabric, that's thanks to the DWR coating. Innovation drives everything we do. Water resistance is one of the top priorities of our Ambassadors and customers alike. How “water resistant” your equipment is, depends on the combination factors, from the water column rating of fabric, to the quality if the components and the water-shedding proporties of the design itself. 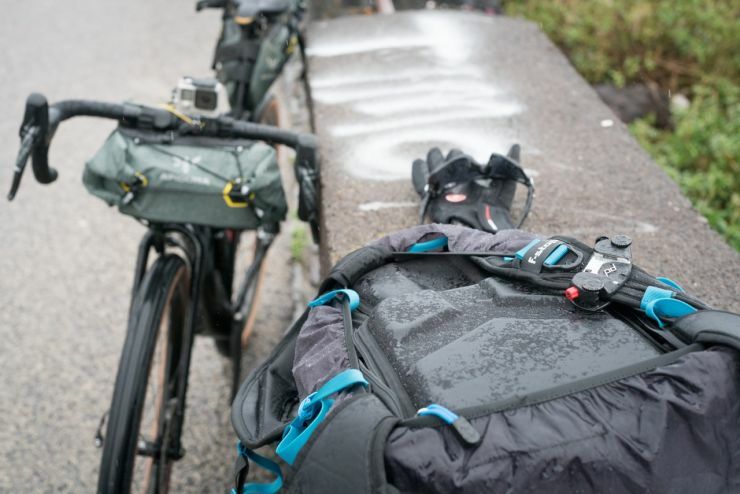 These are factors we consider through every step of the design and testing process to create each new f-stop bag. It takes a long time, but the end result is gear that sets you free to concentrate on getting the shot rather than worrying about your gear.